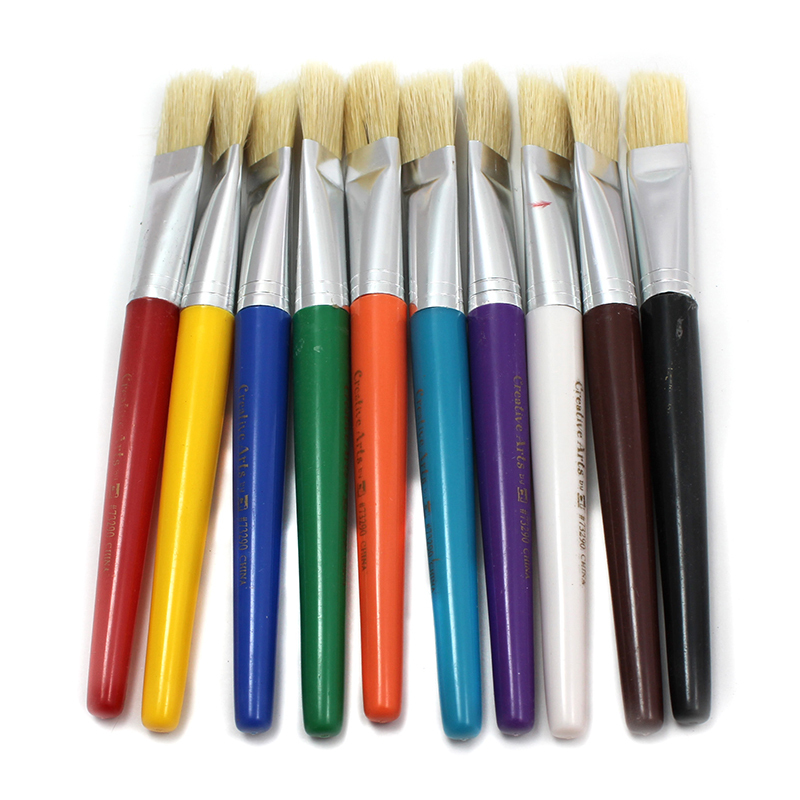 Flat stubby brushes feature brightly colored 7 1/2" plastic handles. Natural hog bristles held in seamless aluminum ferrule. Color coded to match Creative Arts™ spill proof paint cups. 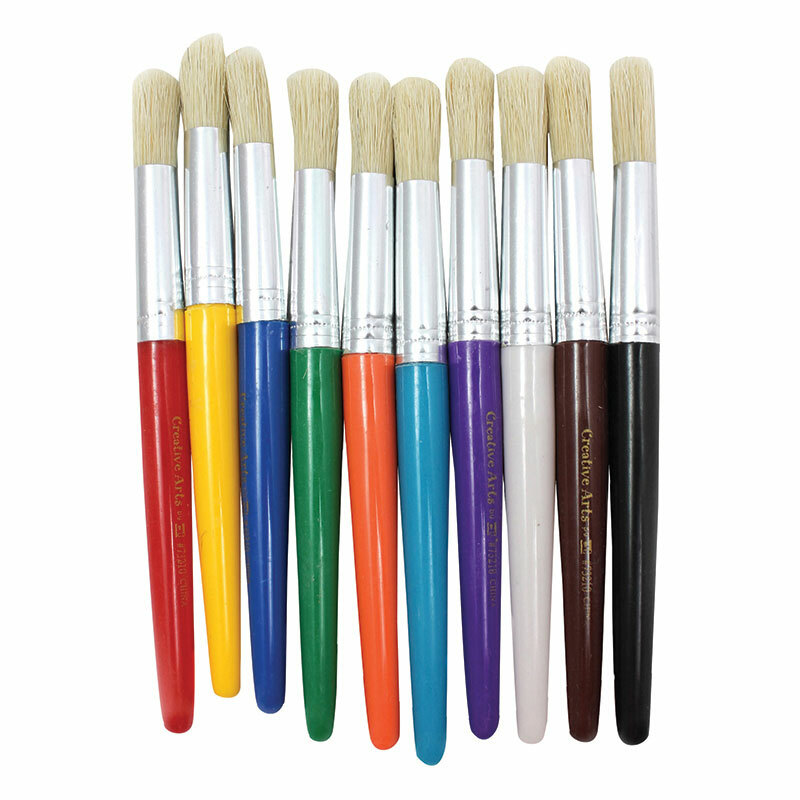 Each pack includes 10 brushes in 10 colors: red, yellow, blue, green, orange, brown, white, black, purple and turquoise. Sold as 3 packs for a total of 30 brushes. 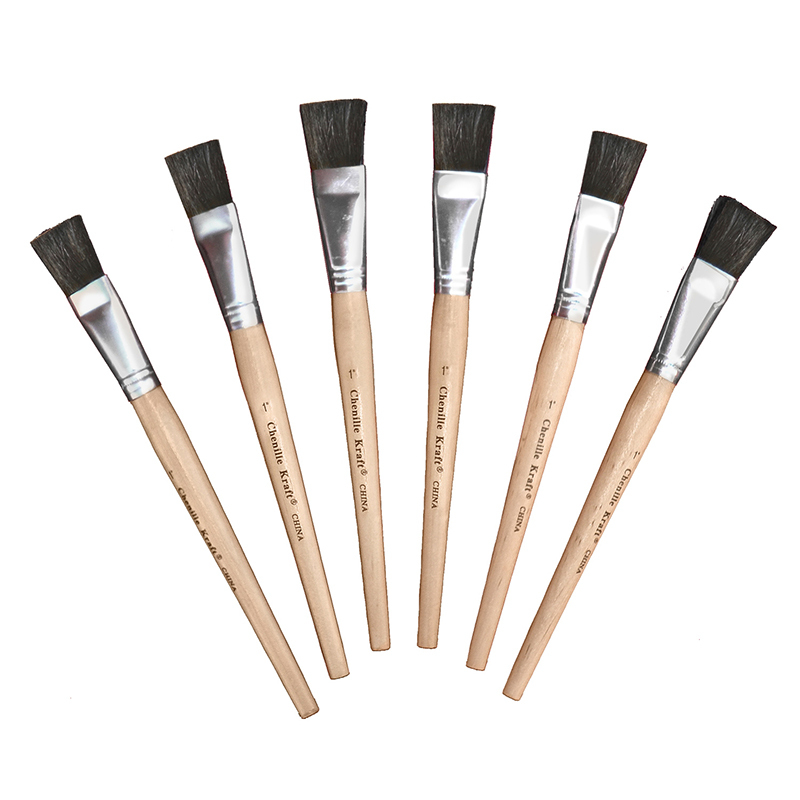 The (3 St) Brushes Stubby Flt 10 Per Pk can be found in our Paint Brushes product category within the Arts & Crafts.